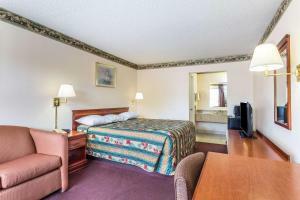 Located just off Interstate 95, this Ashland, Virginia hotel is 7 miles from Kings Dominion Amusement Park. 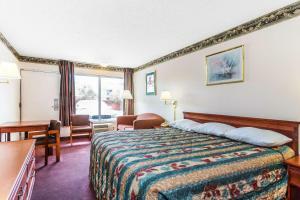 It features a daily continental breakfast and free Wi-Fi. 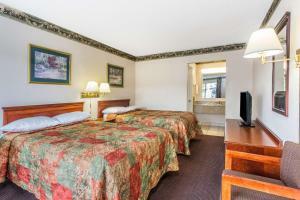 Each room at the Days Inn Ashland includes cable TV and a work desk. 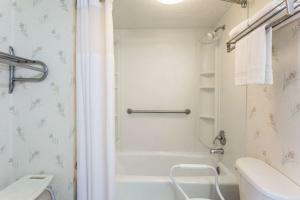 They are decorated in soft colours and have an en suite bathroom with hairdryer. 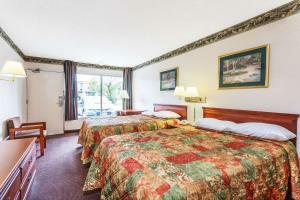 An outdoor pool is provided for relaxation at the Ashland Days Inn. Free parking and a 24-hour reception are also available. Guests can visit nearby restaurants, like Ponderosa Steakhouse and Cracker Barrel Country Restaurant. Randolph-Macon College is 1 mile from the hotel. Richmond International Raceway is 15 miles away. Rate: US$ 55.95 ... US$ 79.95; select dates below to get current rates. Rate: US$ 62.55 ... US$ 75.55; select dates below to get current rates. Rate: US$ 59.95 ... US$ 78.95; select dates below to get current rates. Rate: US$ 62.20 ... US$ 75.70; select dates below to get current rates. Rate: US$ 62.24 ... US$ 75.95; select dates below to get current rates.